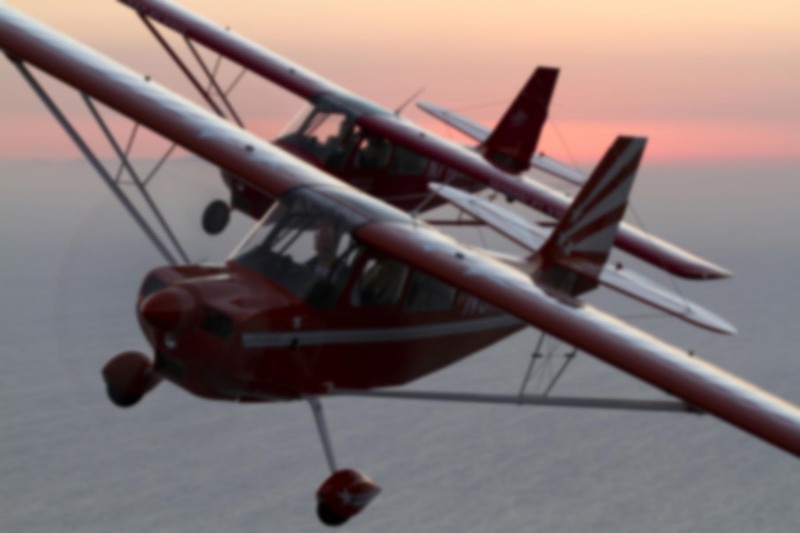 In an aerobatic airplane, the number one killer is the pilot himself. So no showboating, low flying, or things that begin with “watch this”. From a preflight standpoint (and the preflight always takes longer than the actual flight where aerobatics is concerned), the canopy latches, fuel selector, and flight controls are high on the list, as is a thorough inspection of the cockpit and tail cone area for any foreign object debris. Those are the things which, historically, have led pilots to grief in those airplanes. I once had a flight control system failure in the middle of an aerobatic sequence. It gets your attention rather quickly. There have been so many accidents related to pressurization, and quite often they’re fatal. Recently an Air China 737 dropped the masks because the FO decided to vape in the cockpit and, not understanding how the pressurization system worked, shut it off inadvertently. Instead of diverting, they completed the flight without any O2 for the pax after reactivating the packs. Unsafe? Yes, and illegal, too. As many politicians have learned the hard way, the coverup is always worse than the initial crime. I’m also paranoid about the galley oven and microwave on my Gulfstream. Fire in an airplane is really bad. Just the other day on the way out to Hawaii our flight attendant forgot to remove labels from a catering order and almost caught the containers on fire. Rookie mistake? Hardly. This FA is highly experienced, and I’m sure she’s not alone in having made this particular error. We’re all aware that a moment’s carelessness can lead to serious consequences, but it’s vital to remember that this is as true for flight attendants, passengers, and ground crew as it is for the pilots. I try to think of other ways things can catch on fire, too. We have Firebane and a FireSock for containment of lithium battery fires from portable devices. I’ve also often rehearsed what I’d do if a fire or burning smell was detected from an unknown source, practiced the emergency descents every recurrent, and so on. My record is FL450 to 15,000 in a minute and 43 seconds. The particular Gulfstream model I fly is at somewhat of a disadvantage over newer large cabin iterations in that there’s no “automatic descent mode”. That’s an additional risk factor. We HAVE to get the masks on in time, every time, because the airplane has no backup technology to save us. I’m also paranoid about what’s behind the airplane. I always perform a final walk around prior to closing the door, and note what’s in the path of the airplane’s jet blast. I fly tailwheel airplanes and have seen them damaged by jets, especially at small congested fields like my home airport (SNA) where it’s not uncommon to have a Global or Gulfstream starting up with a Citabria less than a hundred feet behind it. I love those small airplanes! I’m paranoid about landing on the wrong runway. I’ve intervened to save three pilots from that on various occasions. “Cleared for the visual” always gets the hair on the back of my neck standing up. I personally witnessed a 757 land at the wrong airport in Arizona once at an aerobatic contest. It happens to the pros and non-professionals in equal measure. I’m also paranoid about hitting things during taxi. The G-IV/G-450 wings are not nearly as long as the V/550/650, but relying on a wing walker or marshaller still gives me pause, especially if any of the “big three” risk factors are present: night conditions, obstacles, and/or an unfamiliar ramp. I’ve told everyone on my crew “if you’re in doubt in any way about clearance from objects, stop and shut down the plane. They can tow it the rest of the way.” And if it hits something then? Well, that’s on them. I’m paranoid about instrument clearances. I always try to have both pilots present when the clearance is received via voice, and we verify what we’ve heard and the routing prior to departure. We see a lot of lateral navigation deviances in our Event Review Committee meetings, and from what I understand that’s true for every ASAP program in the industry. I say “try” because despite my best efforts, I’ve been given IFR clearances when I didn’t want them. Sometimes just calling the delivery frequency to see if the clearance is even available via PDC will prompt them to start reading it to you via voice. Most of all, I’m paranoid about scheduling pressure, especially in the Part 135 “on demand” environment. This never comes from my company; it’s always self-induced. So: don’t rush. If the pax show up early, there’s a mechanical, the lead passenger is demanding, etc, well, that’s when things can go sideways easily. I try to slow down, take a deep breath, and be extra methodical. Never skip any checklist. If the passengers are late, they’re late. I’ve been screamed at by an aircraft owner over this. I was nice about it, but basically said, “Too bad.” It’s easy to say, but much harder to stick to in a real world operating environment. It seems to be baked into human DNA and has to be fought constantly, consistently, and methodically. It takes a lifetime to build up a decent reputation as a pilot, and just a few careless moments to destroy it. As Joseph Heller famously wrote in his seminal novel Catch-22, “just because you’re paranoid doesn’t mean they aren’t after you”. Always enjoy your “refresher” courses involving good habits and consistent use of checklists! Thanks, Rod! Glad you enjoyed the post. PS: Ron, i forgot to tell you that since our last bi-annual, i got my glider rating at Warner Springs and boy, is soaring a lot of fun. I have been flying a Slingsby Vega, 15m 42 to 1 best glide. Talk about “stick and rudder requirements”! That simple yarn on the canopy is a great teacher. Congrats on the new rating. Soaring is a serious skill-building challenge! I haven’t flown a Vega, but even the ancient SGS 2-32 that I used for my glider rating was impressive, something like 23:1. It performed really well in thermals, too. Re: the yaw string, yes the simple elegance of the device is something I’ve always admired. Did you know helicopters sometimes have them as well? That’s always perplexed me, because it seems like the down wash from the main rotor would interfere with the airflow around the string… but somehow it seems to work. Modern technology has made flying very safe. That said, the human element (us) is always waiting to bite you. Airplanes don’t kill you, people (ourselves included) kill you. We all need more paranoia. Thanks Ron. Thanks for reading, John! Yes, it’s interesting how we spend so much time in training learning how to deal with mechanical failures of myriad critical components while the human factors side of flight safety gets relatively scant resources — especially in comparison to the long term statistics which show nearly 90% of accidents are caused by human error. Ron, nice article my friend! It gives us lowly non-pilots a small taste of what you guys are doing up there in the cockpit! “My record is FL450 to 15,000 in a minute and 43 seconds.” Umm. Wow. That exceeds 17,000 FPM. I hope the only place you experience that is in the sim. Great post – as always – Ron. Thank you. Back in the day when I was a controller at Cleveland center I used to work an occasional mid-shift. On one occasion I was working a Northwest Airlines Boeing 727 inbound to Cleveland from Chicago on a re-positioning flight with no passengers. He was level at FL370 (37,000′). I gave him a clearance to cross the Cleveland VOR (now known as Dryer or DJB) at 10,000′ and he replied that they would make a practice emergency descent. I asked him to report out of FL370 since in those days the transponders did not send Mode C data to us. He was 10 miles from the CLE VOR when he called “out of 370”. and as his radar blip touched the VOR symbol on my screen he called “level ten and slowing”. I did not time it but it was probable about a minute and a half or a little under 17000 FPM.if my math is correct. I asked him what his rate of descent was and he said, “Our rate of descent indicator only goes up to 6,000 FPM and it was pegged so we don’t know” I was impressed with the Northwest pilots before this as they always flew at maximum mach, climbed at max power and rate, and always asked for direct routes. The job was to get the pax to their destinations as soon as possible.and to hell with the fuel burn. Perhaps not the best way to run an airline but I was impressed. I forgot to say that Allegheny Airlines, later US Air, did the same, maybe more so. Those guys bugged us incessantly for direct clearances. It was a different day then and the company was important cause they signed your check. Great stories, John! Perhaps it’s just the improvement in computerized flight planning since those days, but I’ve noticed that when ATC offers a direct-to, it sometimes *increases* the total flight time slightly over the planned route. Sounds weird, but the optimized routes ARINC generates often make maximum use of the winds. I’ve seen routes which were significantly longer in mileage but still came up shorter in total flight time because they’d send the plane around pressure systems in such a way that they maximized tailwind (or minimized headwind). Makes me wonder if that’s why the requests for direct routes are a little less common today? That makes two of us, Ben! To be fair, I descended below 15k and simply stopped the timer as we passed through 15,000 feet, so there was no wasting time leveling off. I think the VSI pegs at something like 6,000 or 8,000 fpm on the SPZ8400 and it was maxed out the entire way down. A fun exercise, but not one I ever hope to need in real life. Ron, years ago a Major Corporations aircraft (Gulfstream 450) was being directed into a tight parking (due to a tons of aircraft) spot at a Washington airport with wing walkers. The line crew directed a tight turn to get the wing close to the other aircraft wing tip. Another 450 was parked directed behind and both aircraft were going to be tail to tail. All ground crews were watching the wings and guess what happen. Your right. The tails matched and an accident report followed. Ron as you said if you cannot see what’s behind you SHUT DOWN. I find our ASAP Event Review Committee so valuable in part because I get to learn from the mistakes of others without necessarily having to make them all myself. Excellent post. I have recently joined the 135 world and am also flying my first jet. I have become aware of how quickly things can go wrong in this world. Now when the schedule or passenger is making me feel rushed I put on the brakes. If there is some abnormal, the weather is particularly low, or I just feel “off” I know it’s time to slow down be extra attentive to the preflight, cockpit setup, and check lists. Smart flying! And with this being your first 135 and first jet, you’re setting up the habit patterns which will serve you well for years to come. Thanks for reading! Right? He was upset because we arrived late. We arrived late because the FBO at our departure airport had the plane locked in their hangar and the employee who was supposed to stage us showed up 2 hrs late for work. Nothing that was our fault, and we had advised our company that we were going to be late as a result. Stuff like that happens all the time: weather, mechanical issues, flow control, FBOs with broken fuel trucks, flight plans getting lost in the system, runway closures due to FOD, catering snafus, rental cars breaking down. One time our rental car was damaged by the valet. We couldn’t just leave it there. It never ceases to amaze me how many ways there are for a well-crafted plan of action to fall by the wayside. Here’s another one: my next flight is scheduled to depart at 2 am on the 4th of November. That’s the exact moment daylight savings ends. What do you think the odds are of someone or something showing up either an hour early or an hour late? Re: your G550 flight, it sounds like you had a highly experienced and thoughtful FA. Sometimes it’s not even the FA who creates a problem. When we’re doing Part 91 flights without a FA on board, the pax sometimes operate the microwave, oven, toaster, and other galley equipment. One time a broker who was on board waiting to greet passengers prior to departure put his Starbucks breakfast into the oven without telling us. Cranked it up and didn’t say anything to the crew. Nearly started a fire. Good piece. Doing low altitude ops surveying animals, I find myself often asking what I might do to kill me on each pass and what I’m going to do to prevent that from happening. It’s a little morbid, but the stakes are high and I don’t want to be on the wrong end of things. It is a little morbid… but it’s also exactly what you need to stay safe—especially in a job like yours. It’s not easy sustaining that level of “paranoia” over many months and years of flying, especially as you become more seasoned and comfortable with the operation. Fighting human nature is a big part of the job. Thanks for reading—and fly safe! On the external side of the aircraft, preflighting the pressurization system consists of a visual check of the outflow and safety valves, as well as assuring the associated static port is unobstructed. In the cockpit, there is a pressurization system functional check which is performed prior to the first flight of the day. Without detailing every individual step, it involves checking for proper movement of the outflow valve in both “flight” and “landing” configuration while the system is in automatic mode. The system is also placed in manual mode and the outflow valve actuated by the pilot, because there are different motors powered by independent sources for each as a failsafe. Finally, each air data computer is also selected to ensure the system operates correctly with either source. Though it’s a fairly robust and well designed system, even when all those functional checks are successful, the pressurization can still fail. One of my pilots departed Hawaii one afternoon and had the automatic portion of the system fail during climb out. The manual mode still functioned properly, but they returned to Honolulu and had the faulty assembly replaced. It was expensive, inconvenient, and absolutely the correct decision. Flying across the longest stretch of open water in the world with a faulty pressurization system is just asking for trouble. A fellow pilot once had the safety valve fracture due to fatigue while at FL450. They heard a “pop” and noticed the cabin climbing at about 2,000 fpm. Kind of a textbook simulator scenario, and they responded as trained: don the masks, establish communication, and perform an emergency descent. Easy peasy. Sure is a pretty robust system in the Gulfstream, a lot of redundancy. As much hazardous flying as you guys do (high alt and long over water legs) hopefully this gives you a peace of mind. In the AC that I flew (ce650), the pressurization preflight checks were not as involved. The outflow and safety valves are located in aft pressure bulkhead, vented into the aft equipment bay- not visible during preflight. The checks consisted of double checking the associated static port and placing the system into the manual mode which initiated the self test, and looking for the fault light to extinguish.